Today was a big day in my world. Yesterday was a big day too. Yesterday, I had my very last college class ever, and today we had our senior breakfast, and I had my first work orientation event. I’m growing up, and it’s exciting and terrifying all at the same time. Yesterday’s final class was very fitting for the occasion — the professor showed us a video of a commencement speech given at Stanford by Steve Jobs, which was surprising but inspiring all at the same time. She followed Jobs’ speech with a story of her own, revealing the most human side of a professor who’s been teaching like a stone wall for the past four months. It was nice to see she was human. But really, the class got me thinking — about life, and goals, and ultimately what’s going to make me happy and make my life worth living. It’s already pretty fantastic, but moving on to a new era, it’s important to make sure it stays that way. Jobs’ point was that life is a waste if you don’t realize that your days are numbered, and take full advantage of each and every one. In my opinion it’s almost morbid to think constantly about the inevitability of death, but he had a very valid point. Why wake up every day if you don’t love what you do? Simply going through the motions is a waste of time and energy. The whole day got me psyched for life, and for pursuing everything that I’ve always dreamed of. I saw the movie “Back Up Plan” last night with a good friend, and it fueled my already powerful fire even more, with dreams of big things, and the thinking that they might actually come true. So you’ve heard me say it. I’m going to accomplish my dreams, and refuse to accept anything less! 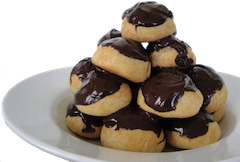 Right, so this is a baking blog, and that was not about baking, so let’s get to it, shall we? This bread was a product of my stress (which has since dissipated, for the most part), but it is so darn delicious, I’m going to make it again and again, even during peaceful times. 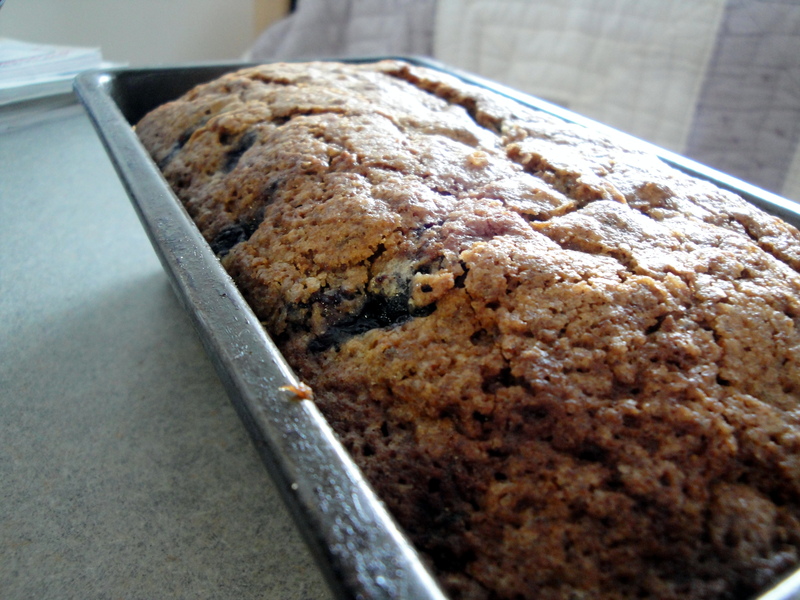 I found the recipe on another one of the blogs I read, My Baking Addiction, and was intrigued — I’ve made blueberry quick breads, and zucchini quick breads, but never thought to combine the two in one. What a great idea! 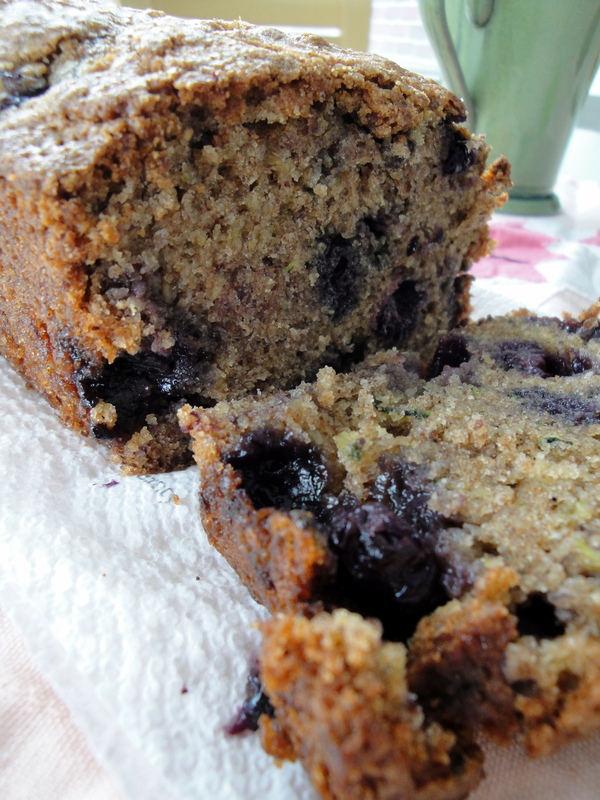 I love baking with blueberries, because they keep things so moist and have such a wonderful flavor when baked into dishes, and often I find zucchini bread to be moist but bland — together they are like the perfect team. The bread was so moist and delicious — I cooked it for longer than the original recipe called for (probably about 70-75 minutes in total), and it was still extremely moist. But be sure to grease the pan well! My bread stuck to the bottom of the pan, which was awful from an aesthetic prospective, but it was fun to eat. 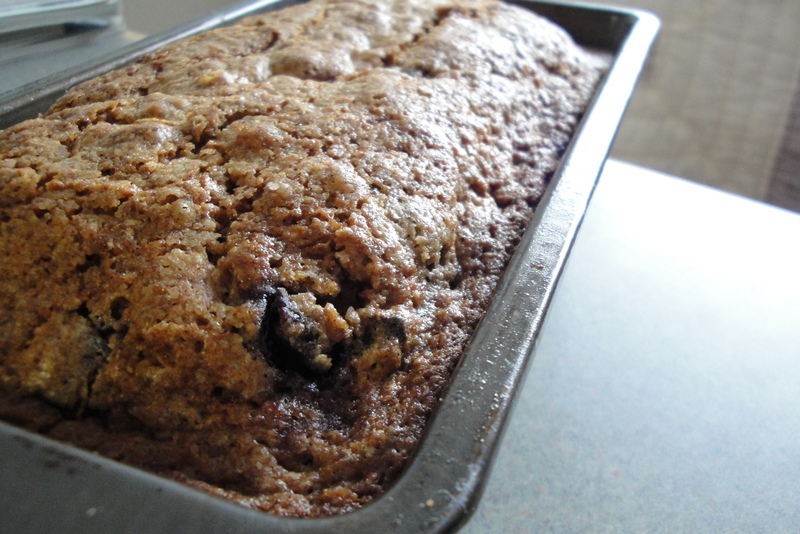 I added in some ground flax seed in place of some of the white flour, and it was still good. I also used frozen blueberries, and I don’t think it made a difference. Lastly, the original recipe said that the bread wasn’t very sweet, so to play around with the sugars which I did. I added 1/4c brown sugar, and I think it was just the right sweetness. This bread is a quick fix (except it needs to bake for a while, so take that into consideration if you’re going to be making it). 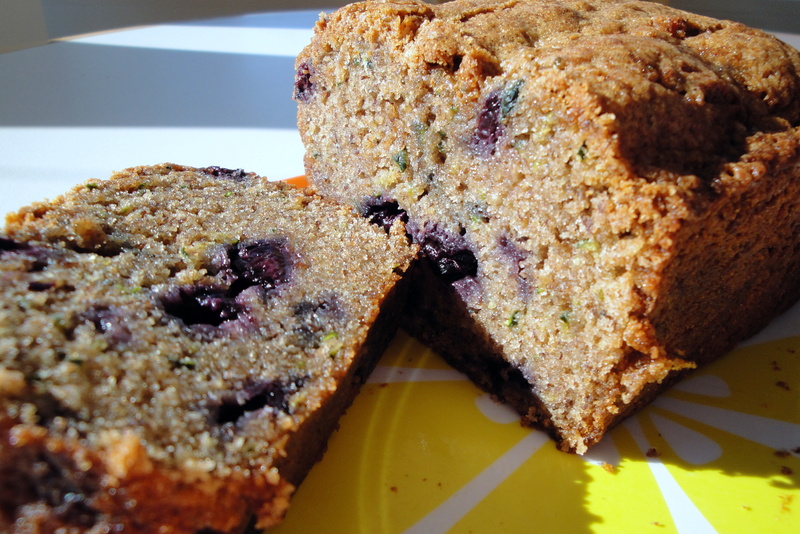 It’s delicious and more nutritional than other baked things (which is good, right? ), and it’s just a wonderful breakfast treat. 1. Preheat oven to 350 degrees F (175 degrees C). Lightly grease an 8.5 x 4.5 loaf pan. 2. In a large bowl, beat together the eggs, oil, vanilla, and sugars. Fold in the zucchini. Beat in the flours, salt, baking powder, baking soda, and cinnamon. Gently fold in the blueberries. Transfer to the prepared loaf pan. 3. Bake 55-65 minutes in the preheated oven, or until a knife inserted in the center of a loaf comes out clean. Cool 20 minutes in pans, then turn out onto wire racks to cool completely.